This photo shows a typical staircase from a hotel on the caldera face that descends steeply down from the main path to the rooms and suites below. 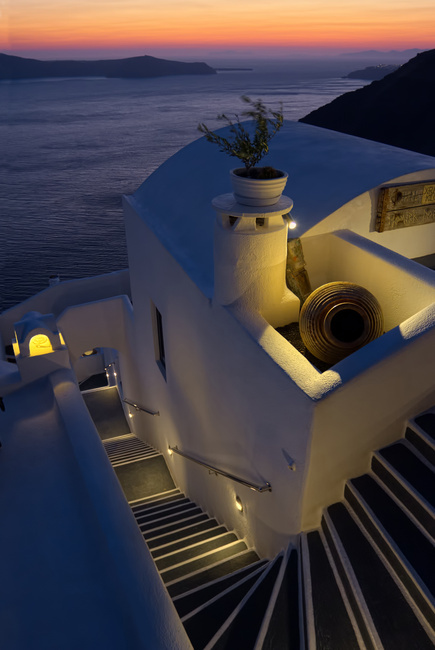 An urn and a potted olive have been placed in attractive locations with accent lighting along the stairs providing an inviting approach. The sun has just set in the background completing the evocative scene.